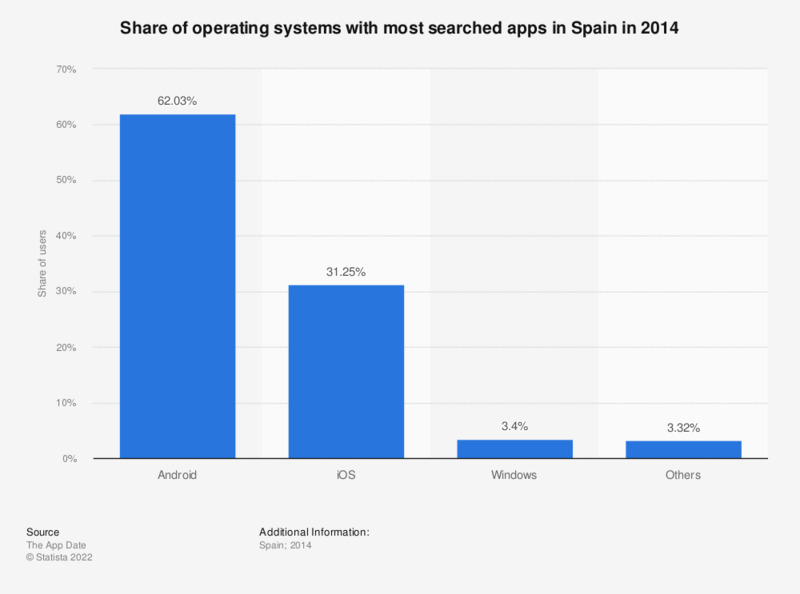 This statistic displays the operating systems with most searched apps in Spain in 2014. Approximately 62 percent of all searched apps were Android apps, 31.25 percent were Apple's iOS apps, and 3.4 percent were apps for the Windows operating system. Data calculated by the source based on various other sources.